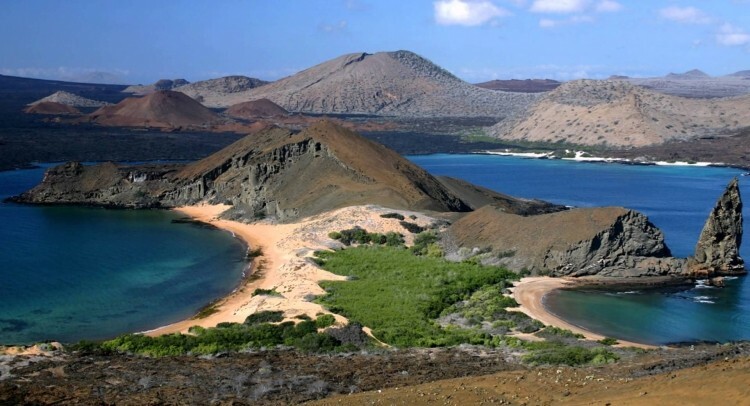 Darwin discovered the Galapagos Islands some 178 years ago, and through observation of this biodiverse territory he formulated his theory of evolution. Although you might never have the opportunity to recreate Darwin’s historic journey by visiting the islands in person, Google is providing you with the next best thing. In partnership with Galapagos National Park and the Darwin Foundation, Google has added 360-degree imagery of the islands to its Street View program. In mapping out the area, the Street View team spent ten days there during the month of May, fitted with a few of those Ghostbuster-esque Trekker imaging backpacks. You can watch a short video detailing the Google expedition below. By using Street View to take a quick peruse of the area, you’ll find more than a few interesting creatures. For instance, one Trekker captured an image of several giant tortoises chowing down on leafy talks. Furthermore, during a hike through the wetlands of Isabela Island, the Google team caught a glimpse of a marine iguana that was sunning itself following a quick swim. Other notable sights included some blue-footed boobies performing their mating dance, as well as the striking red throat sacs of the Magnificent Frigatebirds. Darwin himself didn’t have the necessary diving gear to explore the surrounding waters. Luckily for us, Google joined forces with Catlin Seaview Survey, using their SVII cameras to collect some crystal-clear underwater imagery. Now everyone can virtually swim amidst a pack of baby sea lions!